The Westin Chosun Seoul, Wednesday, November 6, 2006- Savor the sweet, delicate flavors of fresh winter globefish at Sushi-Cho! This succulent and nutritious delicacy has no fat and is full of vitamin B. It is also known for its unique cleansing properties, ridding the body of harmful wastes and purifying the internal system. Sushi-Cho presents delicious set menus that offer a wide range of delicious globefish specialties. Get a taste of our crispy Fried Globefish, fresh Globefish Sashimi, refreshing Globefish Clear Soup, and tasty Charcoal-Grilled Globefish. 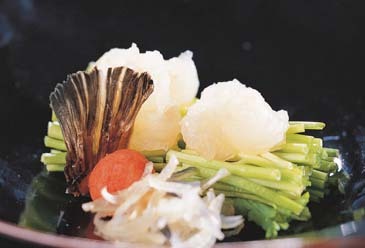 This winter, boost your health with a variety of exceptional globefish cuisines at Seoul's favorite Japanese restaurant. Whichever set you choose to enjoy, it will be a true feast for gourmands!